Brian Jones, who is not an agent, made the real estate investment of a lifetime. Jones has been a lifelong fan of the classic movie "A Christmas Story." He turned the Cleveland house used for the film's exterior shots into a museum, which opened in 2006. 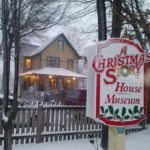 Each year, families can participate in an auction to bid on the opportunity to spend Christmas in the home, which is renovated to look like the movie. 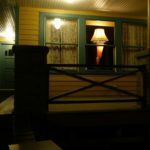 This Christmas, one lucky family will enter a small home on a narrow, working-class street in Cleveland, receive “A Major Award” delivery in the form of a saucy leg lamp to the front door, check the mailbox for Decoder pins, don some bunny-themed “pink nightmare” pajamas and wake up in the house where the beloved film “A Christmas Story” was filmed. And they have Brian Jones, a super-fan of the 1983 cult-classic film and owner of the house-turned-museum, to thank for it. The film was primarily shot on a soundstage in Toronto, but Cleveland provided a festive backdrop for many outdoor shots. The city was selected by location scouts because Higbee’s in downtown Cleveland — which is now a casino — was the only department store in the country that was willing to allow filming inside the store. The Cleveland home provided a festive backdrop for many of the film’s outdoor shots. The house on West 11th Street is not far from Higbee’s and provided the perfect exterior for the working-class Parker household. The house sits on a brick-lined street on the city’s Near West Side, overlooking old steel mills — only a few miles away from where notorious kidnapper Ariel Castro held three young women captive in his home for 10 years. Jones, a San Diego-based entrepreneur, came by his real estate investment by virtue of being a lifelong fan of the film, not as a real estate developer. In the early 2000s, Jones graduated from the U.S. Naval Academy with a degree in aerospace engineering, hoping to become a pilot. But those plans evaporated when he failed the required vision test. The house on W. 11th Street is not far from Higbee’s. But Jones still had to figure out what his next career steps would be. 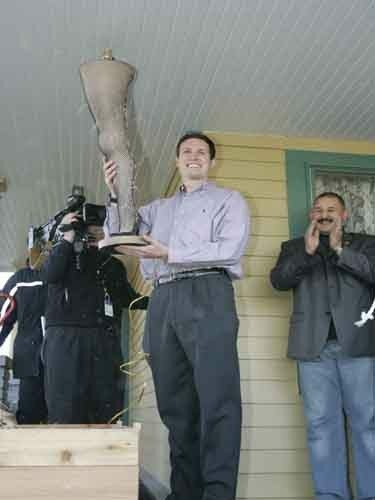 Inspired by the interest his parents received when they created the leg lamp, he decided to turn his lifelong interest in the film into a business venture, and he launched RedRiderLegLamps.com, a website where he sold the replica lamps. Jones was in business for two years when his wife emailed him while on military deployment in the Middle East to inform him that the house used in the film was up for sale on eBay. In the years following the film’s release, the home had become a duplex rental. 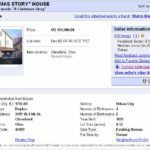 Unsure of how to convey the property’s value and role in the film, the owners turned to eBay hoping to garner some publicity. They listed the home for $99,000 when others in that neighborhood were going for about $30,000 at the time. 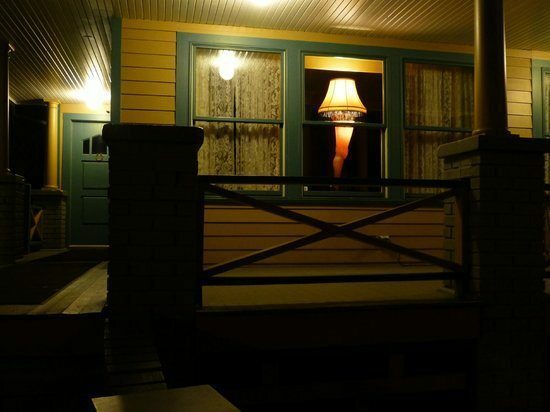 Jones used the proceeds from his leg lamp business to pay for the home, then set about painstakingly restoring it to look the way it did in the film. At first, he intended to rent it out as a bed and breakfast, “but then I realized I could only rent it to one or two couples a night, and I wanted everyone to be able to come see it,” Jones said. He settled on converting it into a museum honoring the film instead. Many fans of the film may not realize that most of the interior of the Parkers’ home was created and shot on a soundstage in Toronto. 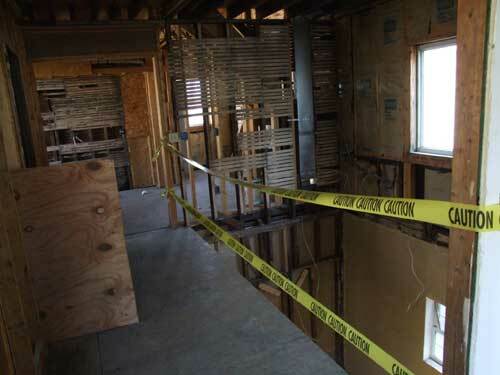 Duplicating that interior in the house on W. 11th Street proved to be a challenge. Watching the film frame by frame, Jones drew detailed plans of the interiors, “gutted it to the studs” and spent $240,000 to reconfigure the home into a near-replica of the movie set. 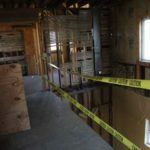 Along the way, he was able to recoup some of his investment: “The house had siding on it stapled to the outside. I sold those four-inch pieces of that for $20 to collectors,” he said. The museum officially opened Thanksgiving weekend in 2006. Since then, more than 60,000 people from all over the world have toured the house. 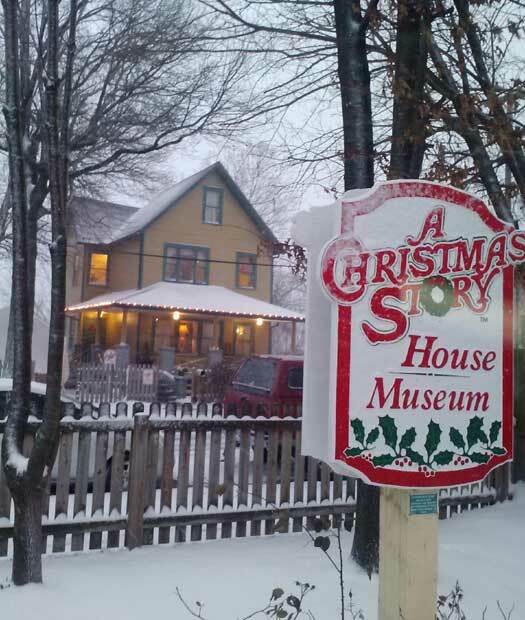 Jones later purchased a home across the street from the museum and converted it into a gift shop. Every year, fans of the film can participate in an auction to bid on the opportunity to spend Christmas in the house. This year’s winner scored the experience for $8,700. The for-profit venture has proven to be a highly successful real estate investment, and Jones felt like he should give back to the working-class community surrounding the museum. 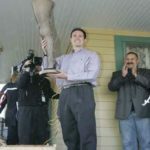 He started the Christmas Story House Foundation, which every year holds a 5K run in Cleveland and raises funds to help renovate homes and revitalize the neighborhood, which has been hard hit by the recession and foreclosure crisis. Jones recently purchased another home on the street, but has not decided what to do with it yet. “The couple who lived there were really upside down on their mortgage, and my real estate agent was able to help them get into a much better situation,” he said. 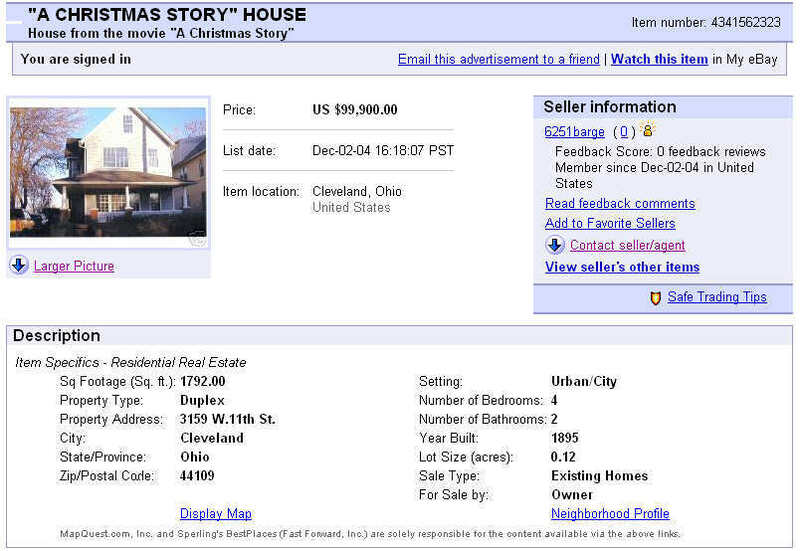 Only one question remains for the earnest Jones: How much is his property worth?